Former Delhi University professor G.N. Saibaba and four others were sentenced to life imprisonment by the Gadchiroli sessions court in Maharashtra in 2014. He spent 14 months in jail before the Bombay High Court granted him bail for six months in July 2015 in view of his deteriorating health condition. He had to surrender and again go back to jail in December 2015. A Supreme court bench in March 2016, acted on a special leave petition challenging the rejection of bail for Saibaba and granted him bail on medical grounds. The Counsel of the Maharashtra government was also reprimanded by the Apex court for being ‘extremely unfair to the accused, especially given his medical examination.’ The Supreme Court had cited his medical condition where he suffers from 90% disability following a childhood polio attack. He continues to be in the Central Prison Nagpur till date. Professor Saibaba has 90% post-polio disability and is completely wheel chair bound. On February 22, 2017, Saibaba had complained of chest pains and was taken to a local hospital, where he had been admitted to the Intensive Care Unit. He was said to have a pancreas infection, besides stones in his gall bladder stones. Doctors had recommended he have surgery in three weeks, after recovering from the infection. In addition to the acute pancreatitis there is a possibility of post pancreatitis abscess which is a medical emergency requiring urgent care. He also has left brachial plexopathy which requires sustained and long term intervention. Since Prof. Saibaba already has serious disability, it is important that all efforts are made to ensure maximum functional ability of his motor system. This would require long term and intensive medical, surgical and physiotherapy intervention. A 90% disability would also warrant a full time carer to ensure that he is able to perform his activities of daily living with dignity and with minimum distress. Prof. Saibaba’s current incarceration in the Nagpur central jail and deteriorating health condition gives clear indication that he is being denied access to adequate medical care as well as a full time carer. India has made a commitment to the UN Convention on the Rights of Persons with Disabilities (UNCRPD) with Article 15 (1) stating that “No one shall be subjected to torture or cruel, inhuman or degrading treatment or punishment.’Article 15 (2) further places the state under obligation to protect persons with disabilities from ‘cruel, degrading or inhuman treatment and punishment’. State parties ‘shall take all effective legislative, administrative, judicial or other measures to prevent persons with disabilities on an equal basis with others, from being subjected to torture or cruel, inhuman or degrading treatment or punishment’. In the case of Prof. Saibaba who requires support and assistance for daily living, denying him the right to accessible facilities for personal care and hygiene violates his right to dignity and bodily integrity, both guaranteed under Article 21 of the Constitution and Article 17 of the UNCRPD. It amounts to torture by the government of Maharashtra. Professor Saibaba requires comprehensive healthcare for all his healthcare needs with a full time carer. For this, and as directed by the Supreme court, the investigating authorities must release him from custody forthwith and carry out any investigations they may require, without infringing on his right to human dignity and fundamental freedoms, and in full compliance with the Constitution and the UNCRPD. Sana Contractor, Public health Researcher, New Delhi. Dr Shakeel, Executive Director, Centre for Health And Resource Management, Patna. 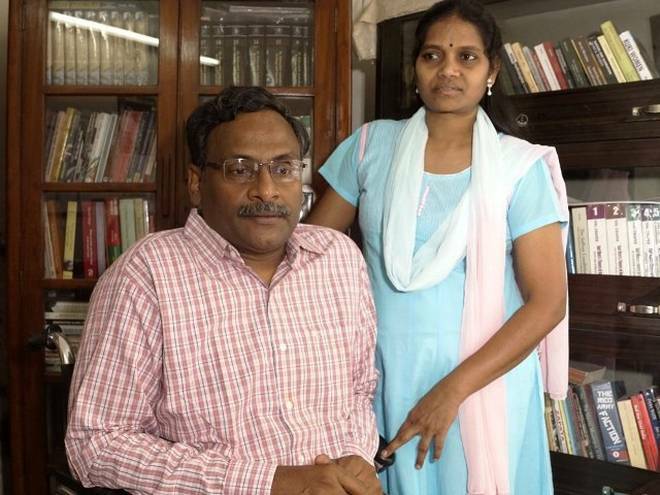 Professor Saibaba is a hero, and must be released from prison immediately.